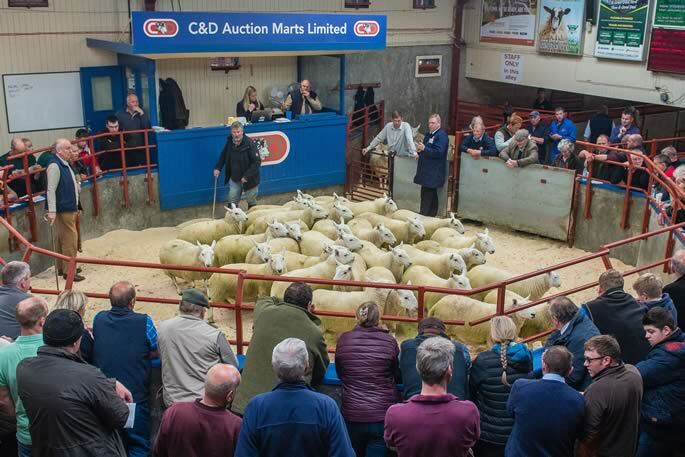 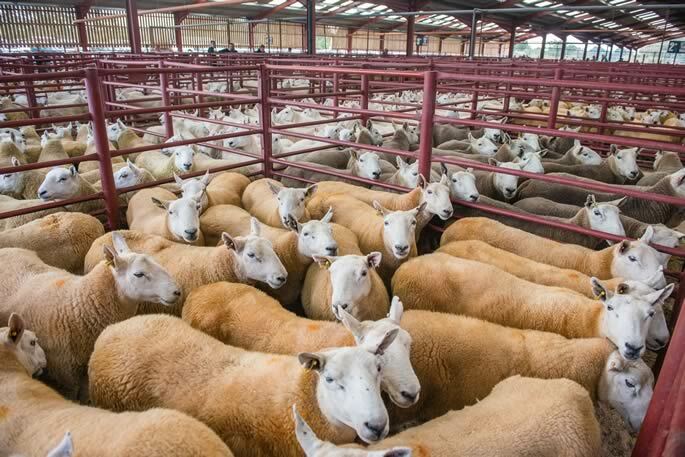 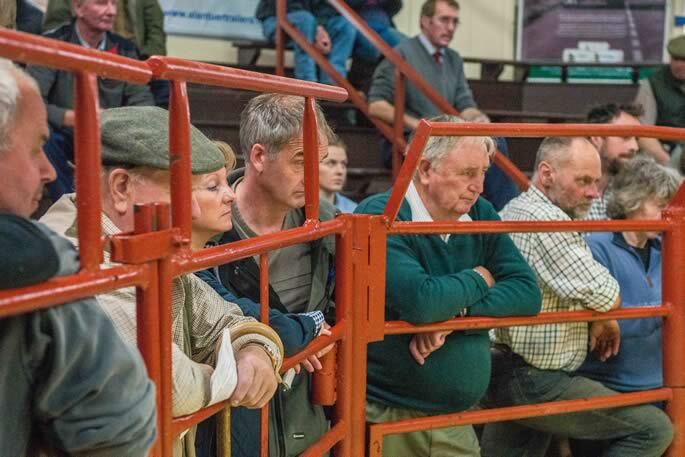 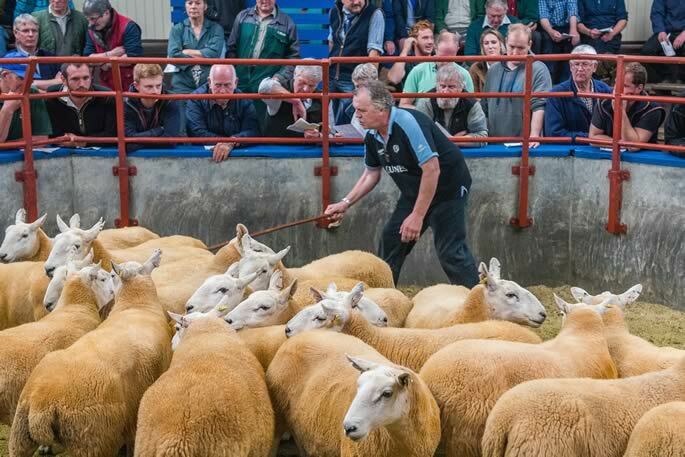 C & D Auction Marts Limited had forward a catalogue entry of 12,655 head, comprising 4,898 Blackface and Swaledale ewes, shearlings ewe lambs and 7,570 Cheviot ewes, gimmers and ewe lambs, along with the dispersal of hill ewes on behalf of Messrs G. McGimpsey, D’Mainholm at their Annual Border Ewe Sale at Longtown on Wednesday 27th September 2017. 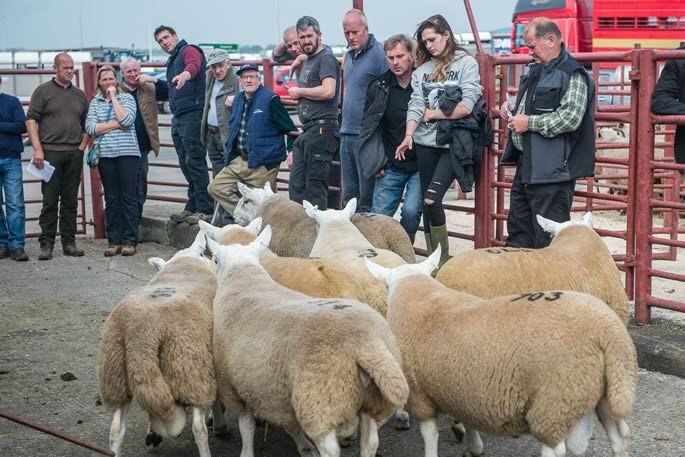 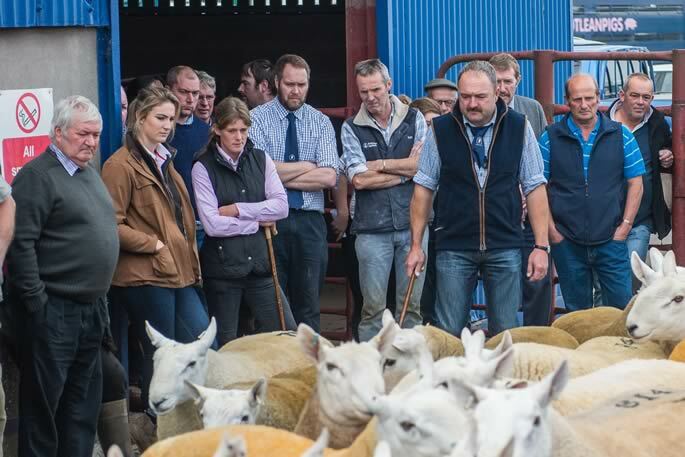 A quality entry of Cheviots attracted customers from Orkney in the North to Cornwall, Wales and Yorkshire in the South, together with local buyers. 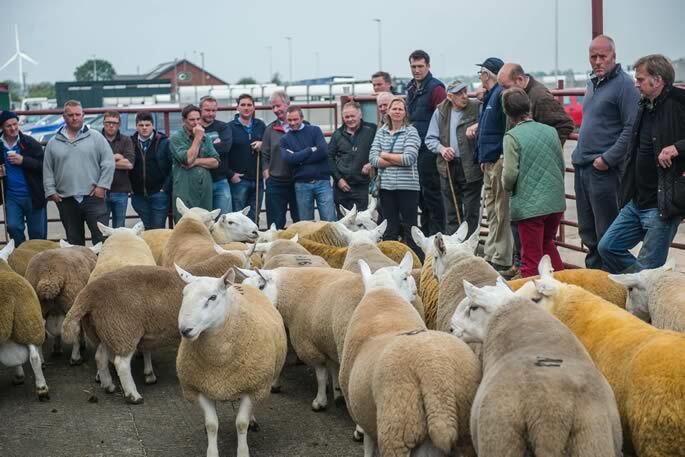 Trade was cautious and hesitant with only the character lots meeting a strong demand. 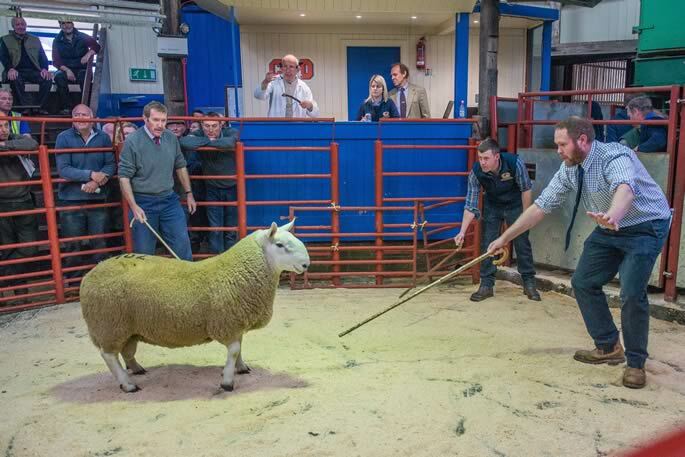 Top overall was £205 for an outstanding pen of North Country Cheviot gimmer shearlings from Mr S Turnbull, Larkhall, Poppets Cottage, Jedburgh, who also sold pens at £173 and £165, others to £158 Westhills, Rothbury and £155 and £150 from Preston Mains. 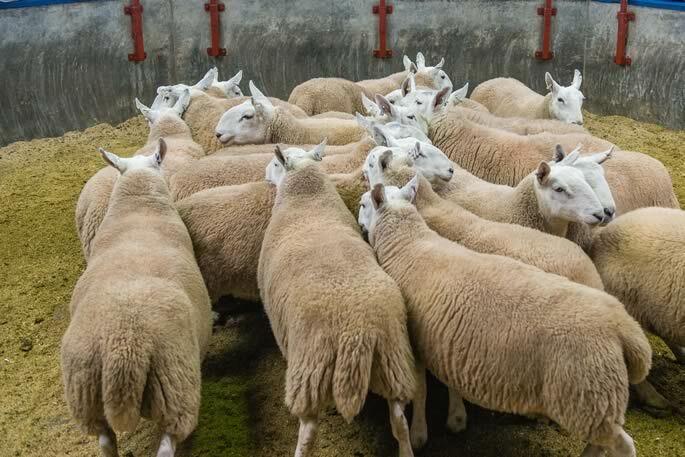 Ewe lambs to £120 and £95 from North Synton, Ashkirk. 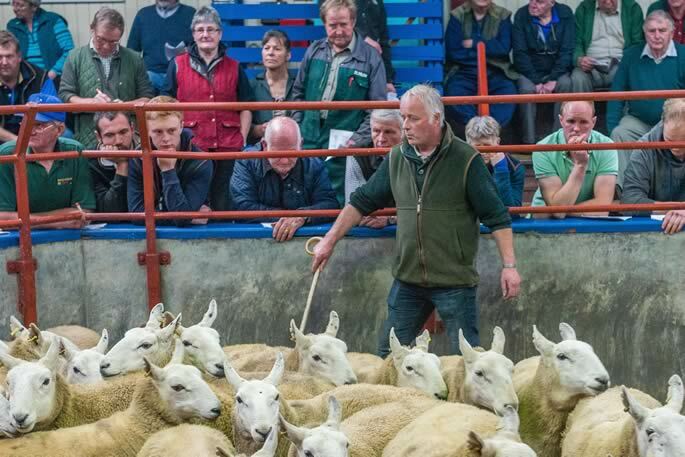 Draft ewes to £110 and £100 from Gospel Hall, Jedburgh with others to £105 Hill Top (Bell) and £100 Byers Farm and Capelfoot. 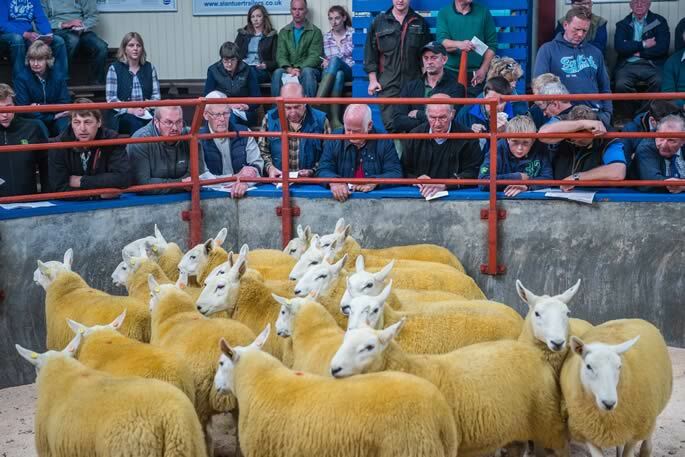 Hill Cheviot draft ewes sold to £138 from regular consignor Messrs Paton, Castle Crawford, who also sold at £95 along with Stirkfield Farms who sold the top price gimmer shearlings at £135 and £120, followed by The Side at £128, Mount Benger at £118 and Skelfhill at £116. 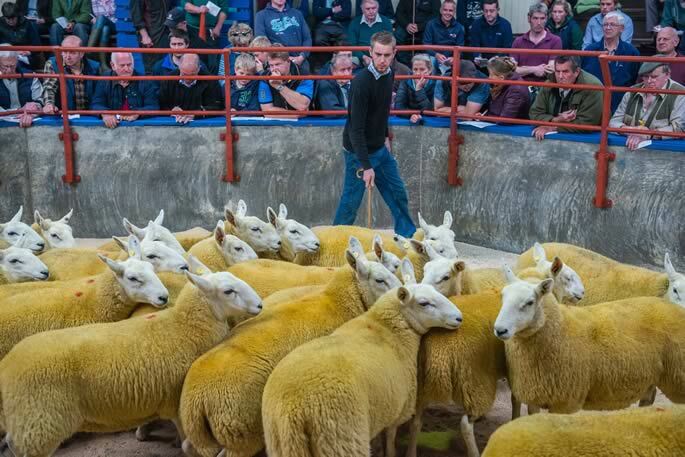 Ewe lambs sold at £78 Drycleughlea, Roberton and £72 Hindhope (Elliott), Jedburgh. 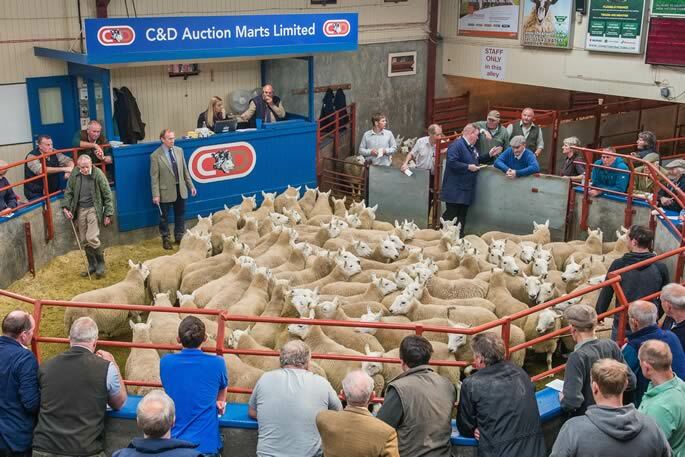 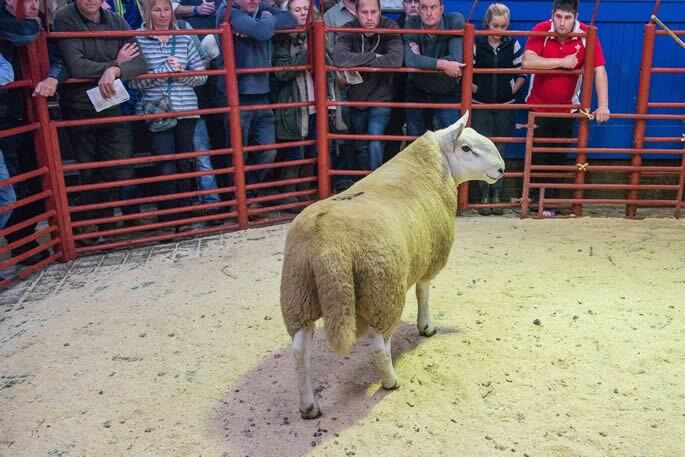 Also included in the sale was two dispersals, the first from Mr D Watson, Ardnacross, Campbeltown whose North Country Cheviot gimmers sold to £110, 1 crop to £95, 2 crop to £92 and 3 crop to £90. 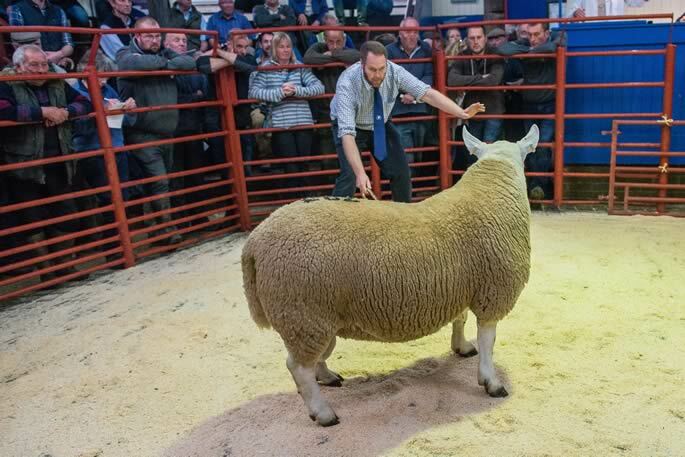 The second from Messrs Main, Byers Farm, Bewcastle whose correct ewes sold to £100, £95 and £90. 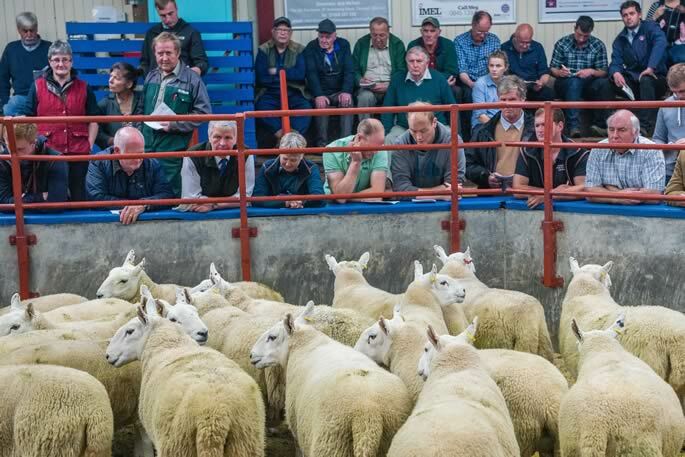 Contrary to reports of poor trades for Blackface ewes at surrounding marts, Longtown bucked the trend with horned ewes and shearlings being very easy to sell especially the strong character lots, although in the ewe lamb section the smaller end struggled. 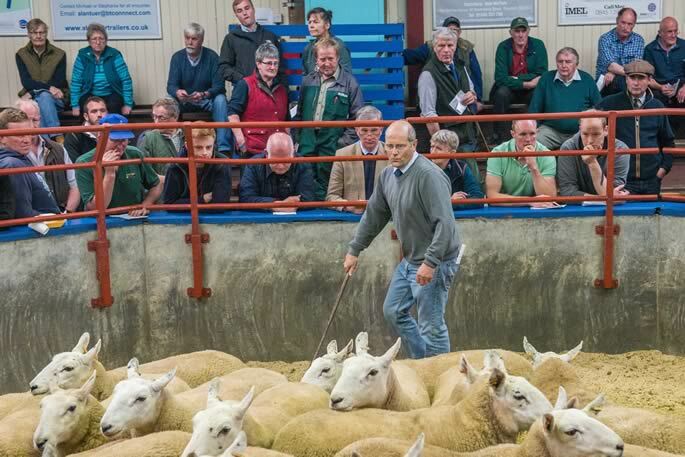 The sale topped at £122 (x2) for Hexham type Blackface shearlings from W Walton, Toft House and Wanwood Partners selling to Messrs Hope, Albierigg and Messrs Wilson, Belzies respectively. 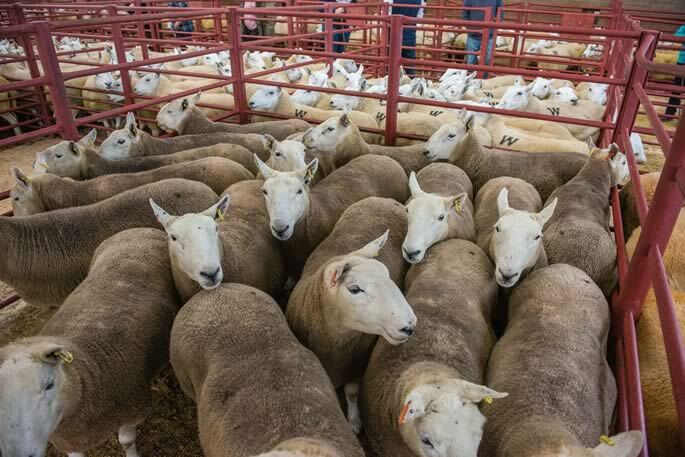 Blackface Shearlings (Hexham type): £122 Toft House, £122, £120 Wanwood Hill, £118 High Staward, £116 Sewing Shields, £115, £110 The Side, £110 Nilston Rigg & High Staward, £105 Nilston Rigg, £100 High Staward. 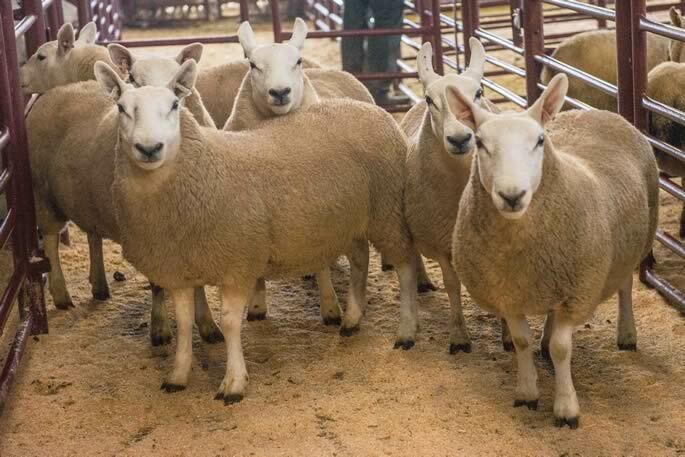 Blackface Shearlings (Lanark type): £115 Westhills, £110 Hillbrough, £102 Westhills, £100 Hillbrough. 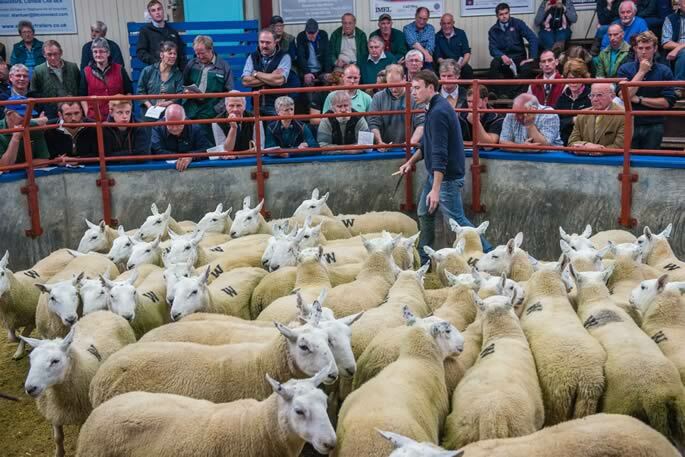 Blackface ewes topped at £80 for a pen of five year olds from Messrs Graham, Craigdarroch selling to Messrs G Davies, Powys. 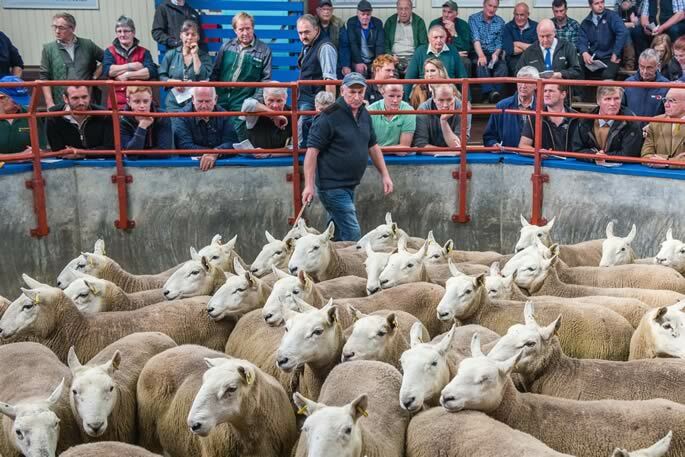 Blackface Ewes: £80 Craigdarroch, £78 Holylee House, £75 Craigieburn, £70 Kirkland & Burnfoot, £68, £64 Holylee House, £64 Sorbie, £62 Earlshaugh, £60 Skelfhill & Halliburton. 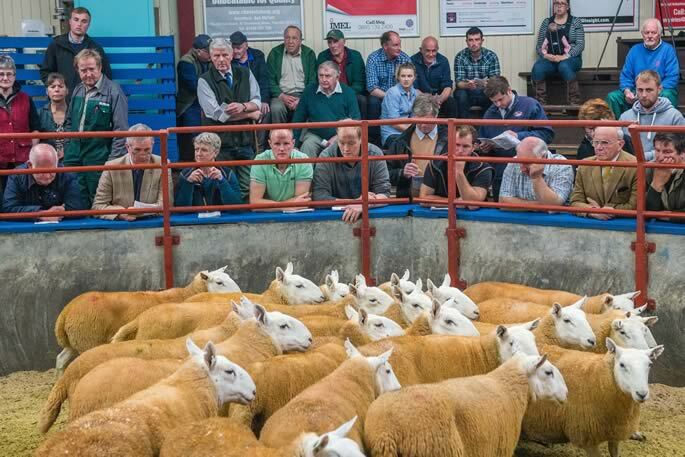 Blackface ewe lambs topped at £85 for Hexham types from Wanwood Partners, Wanwood Hill selling to Messrs Dixon, Upperburnmouth. 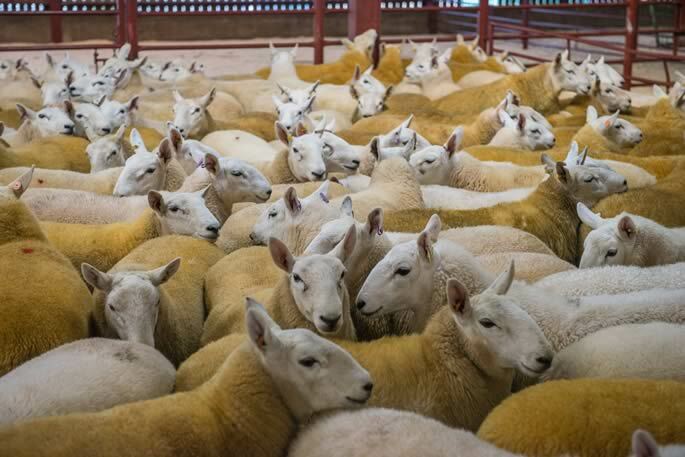 Blackface Ewe Lambs (Hexham type): £85, £82 Wanwood Hill, £73 Prospect House, £70 Peela Hill, £66 Prospect House, £60 Roughet Hill & Penpeugh. 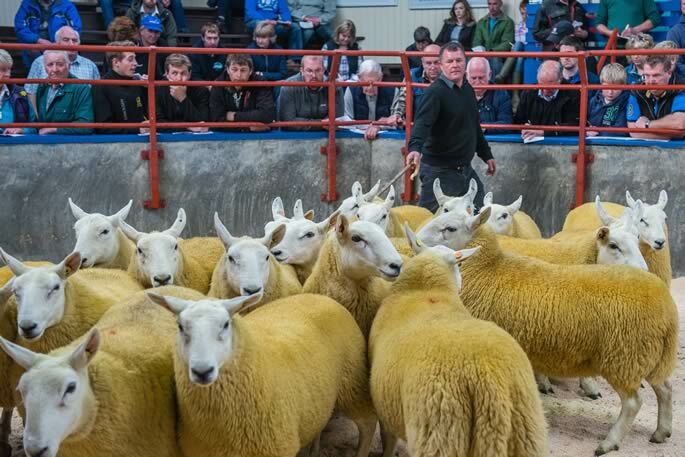 Blackface Ewe Lambs (Lanark type): £57 Kirkland, £52 Skelfhill, £50 Holm of Daltallochan & Craigdarroch. 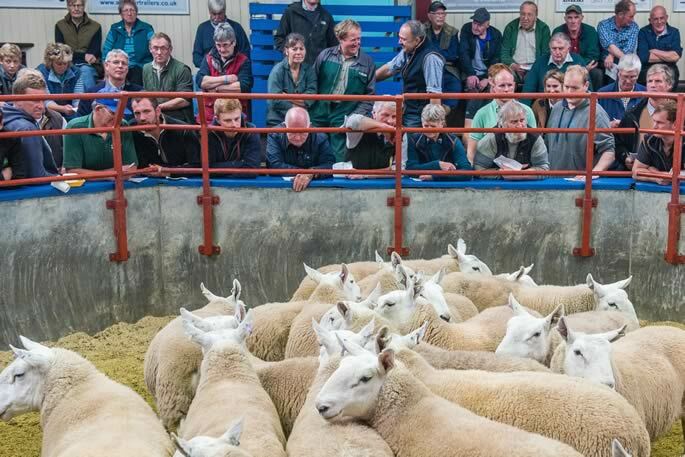 Blackface shearlings: £68, £64, £63, 1 crop: £90, £64, £60, 2 crop: £58, £55, £52, £50, 3 crop: £52, £50, 4 crop: £41, £40, Ewe lambs: £45, £41, £40. 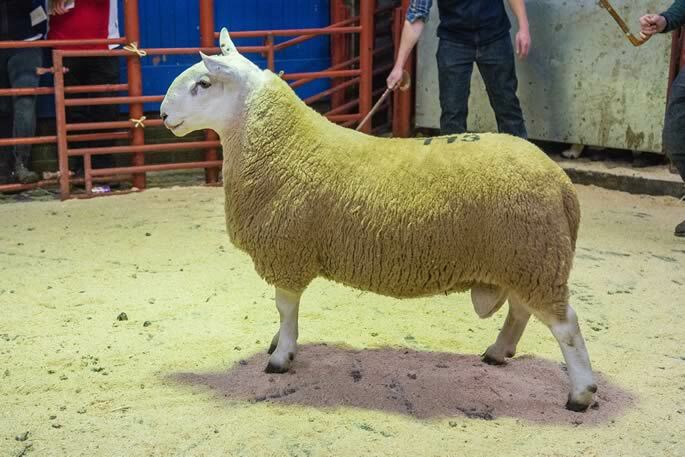 Swaledale shearlings topped at £90 from Messrs K Hope, The Barrocks to Messrs Hall, Horlsey Hill. 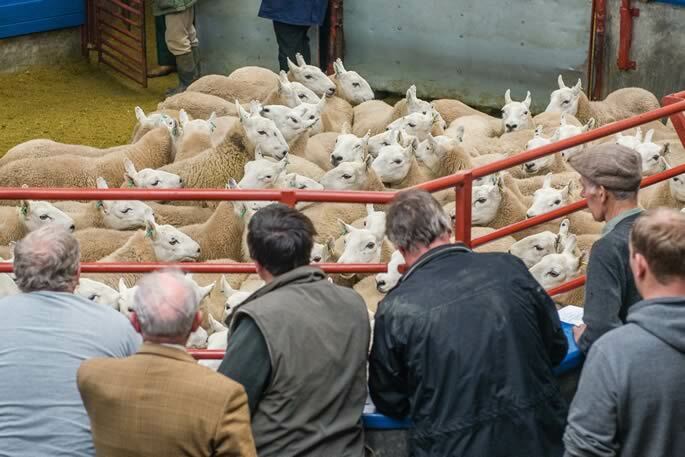 Swaledale Shearlings: £90, £88 The Barrocks, £85 Dumblar Rigg & New Dorryfield, £80 the Barrocks & Dumblar Rigg. 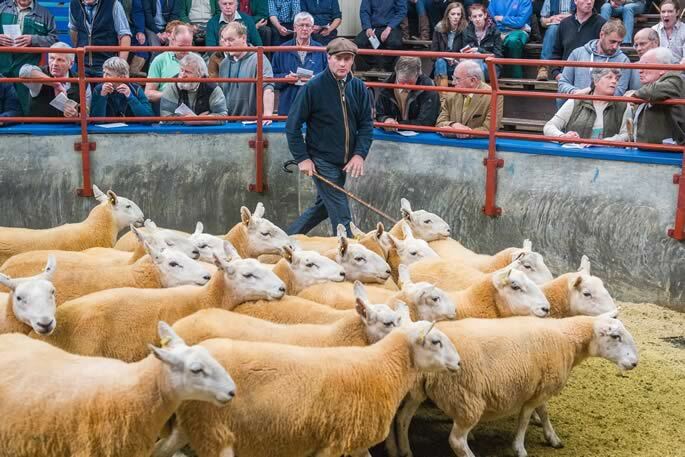 Swaledale ewes topped at £54 from Wynholm Farms, Corrie and Low Stanley. 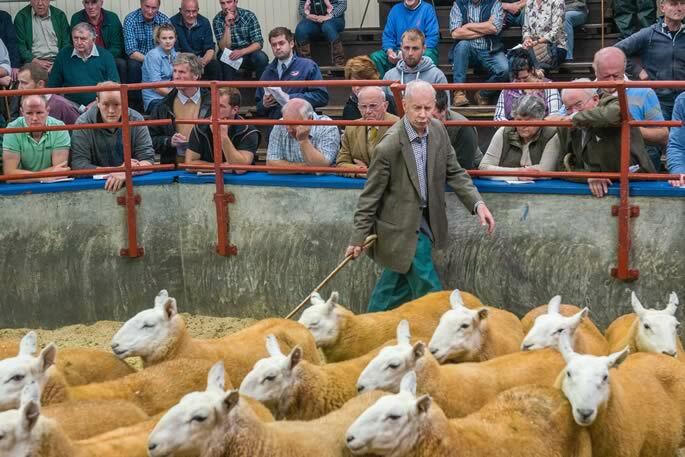 Swaledale Ewes: £54 Wynholm & Low Stanley, £52 Boldron, £50 Dumblar Rigg & Wynholm. 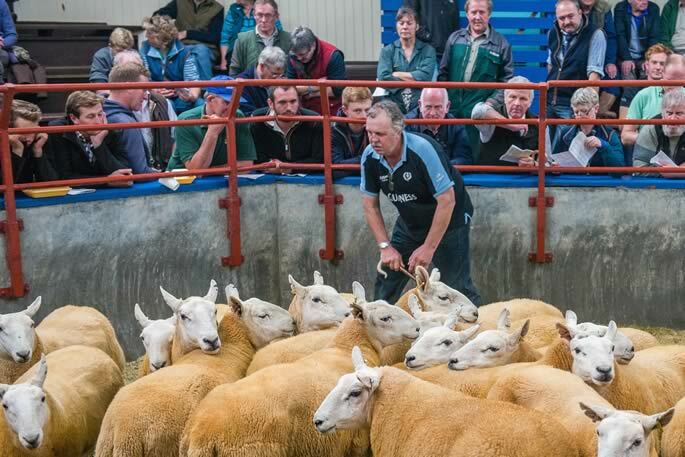 Swaledale ewe lambs to £42, £40 from Hzelgill and £40 Low Stanley. 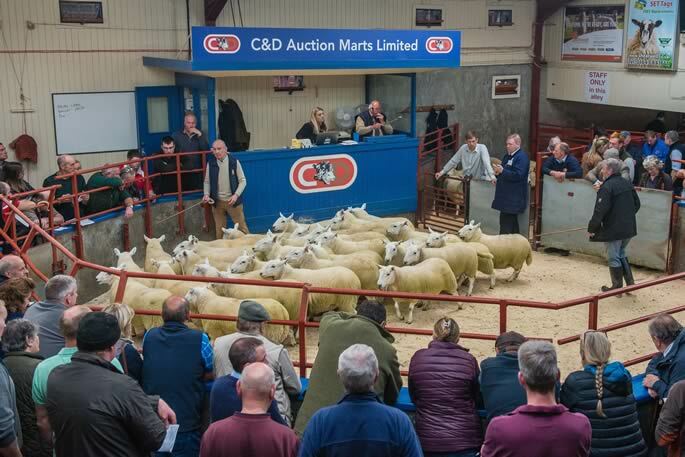 C&D Auction Marts Ltd held their Annual Show and Sale of North Country Cheviot rams together with their inaugural sale of Traditional Bluefaced Leicester rams. 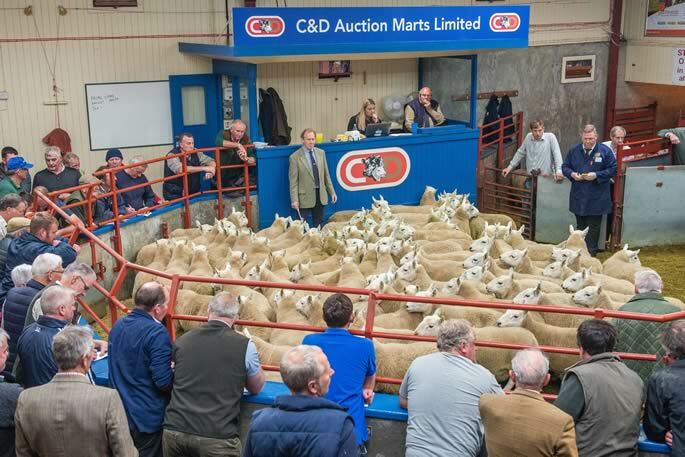 111 North Country Cheviots sold to a top of £720 with a shearling average of £335 and 40 Traditional Bluefaced Leicesters sold to £900 with a shearling average of £408. 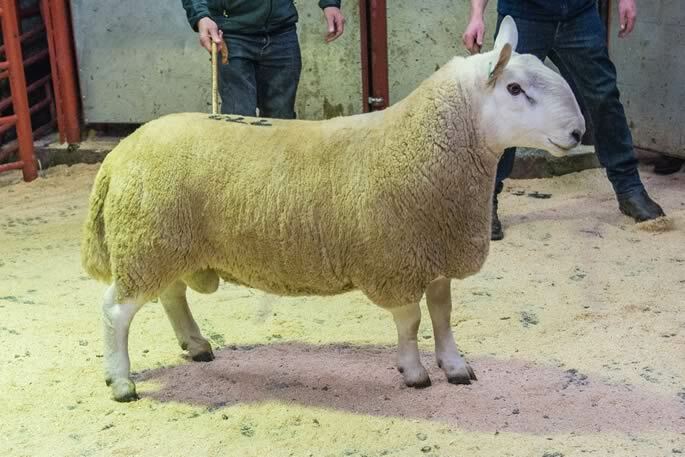 The 1st prize North Country Cheviot Park shearling from G Davies & Partners, North Synton made £720 to J Stephenson & Sons, West Millhills, Haydon Bridge. 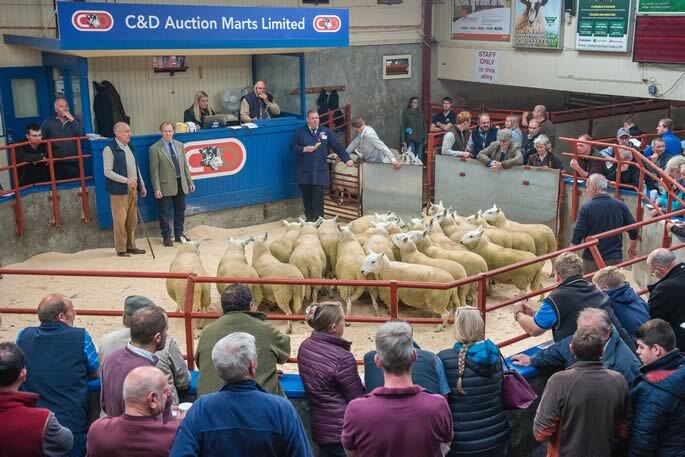 J Runciman & Sons, Allanshaws took the next four Cheviot leading prices at £700, £650 (x2) and £600, with D Matthewson, Soutra also selling at £600 and £580. 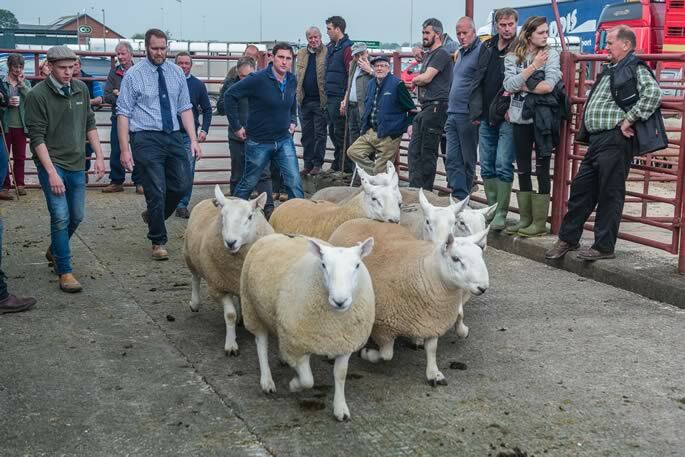 P W Hedley, Swinside, Townfoot averaged £535, Soutra averaged £508, North Synton £460 for a pen of 9 and Allanshaws £443 for 11. 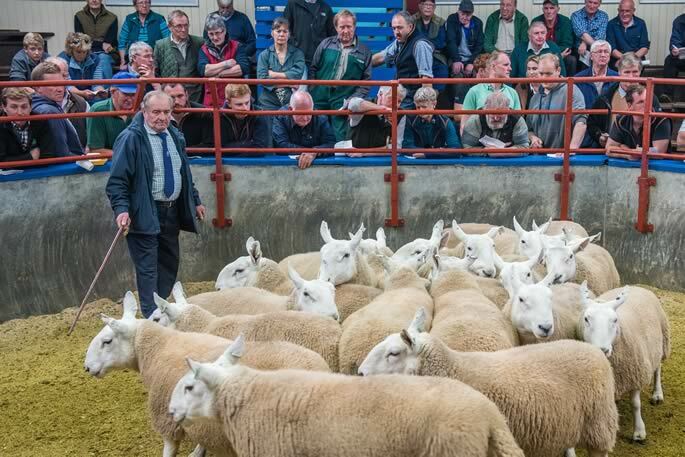 This first sale of Bluefaced Leicesters for crossing with the Cheviot to breed the Cheviot Mule, went very well with shearlings in strong demand. 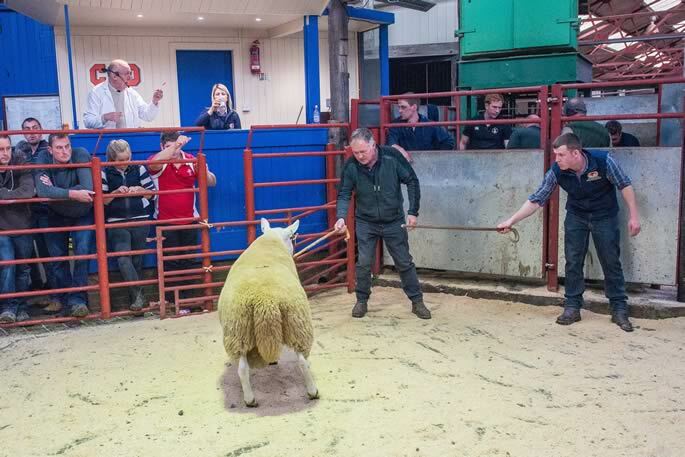 £900 was the top, taken by D Sandilands, Threepwood, Blainslie for a shearling bought by Hindmarsh Partners, Blakehopeburnhaugh. 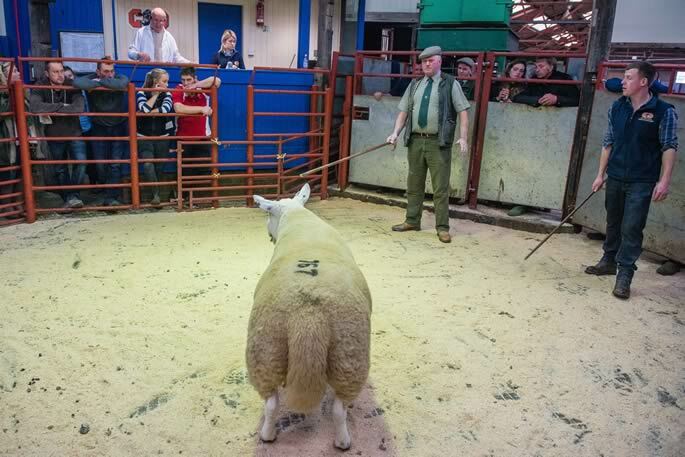 C R Purvis, Shepherds Cottage, Halterburn sold at £600 and £580 with £550 prices for P W Hedley, Swinside (twice) and JW & AM Little, The Close, at £520 were Halterburn, Burgh Head and Larkhall (twice).